Is It Hair Loss or Something Else? If you’ve noticed that there are more hairs on your pillow or hairbrush, the American Academy of Dermatology (AAD) says that you may just be shedding more hair than normal. And that is not the same as hair loss, the AAD says. There is a difference. Hair shedding often stops on its own, the AAD experts say. It is normal to shed between 50 and 100 hairs a day. If you are shedding noticeably more hairs than that, the medical term is telogen effluvium. Undergoing stressful experiences such as caretaking , getting a divorce or losing a job. Most people notice the excessive hair shedding a few months after the event, the AAD says. This shedding is normal and temporary. As your body readjusts, the experts say, the excessive shedding stops. Hair is usually back to normal within six to nine month. If the stressor stays with you, though, hair shedding could continue. People who are constantly under a lot of stress can have long-term excessive hair shedding. If you have hair loss, your hair will not grow until the cause stops, the AAD says. For example, people who undergo chemotherapy or radiation treatments often lose a lot of hair. When the treatment stops, their hair tends to regrow. If you suspect that a treatment or drug is causing your hair loss, talk with your doctor. Serious side effects can occur if you immediately stop a treatment or drug. Other causes of hair loss may require treatment. Many people who have hereditary hair loss continue to lose hair without treatment, the AAD says. A woman who inherits the genes for hereditary hair loss may notice gradual thinning. Men who have hereditary hair loss tend to develop a receding hairline or bald patch that begins in the center of the scalp. Treatment helps many people who have hair loss, but not everyone. 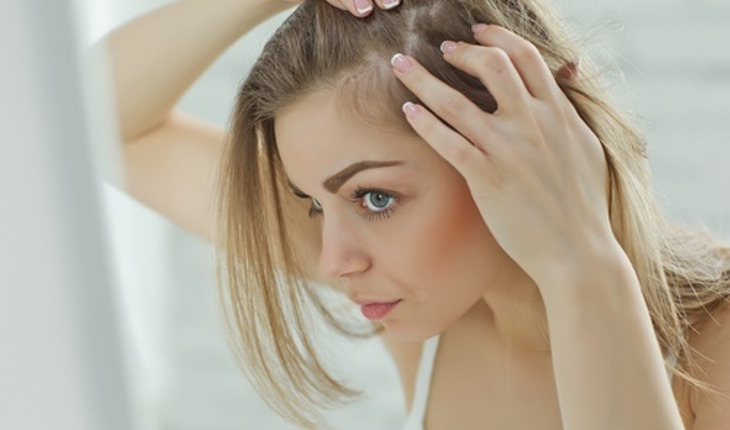 A dermatologist can distinguish between hair loss and hair shedding. Headquartered in Schaumburg, Ill., the American Academy of Dermatology, founded in 1938, is the largest, most influential, and most representative of all dermatologic associations, with a membership of more than 18,000 physicians worldwide. For more information, contact the AAD at 1-888-462-DERM or visit www.aad.org.